Sponsored Post: I was selected to try and honestly review Paula’s Choice through Pretty in My Pocket. All opinions are my own, of course! Paula’s Choice Skincare is nothing new to me. 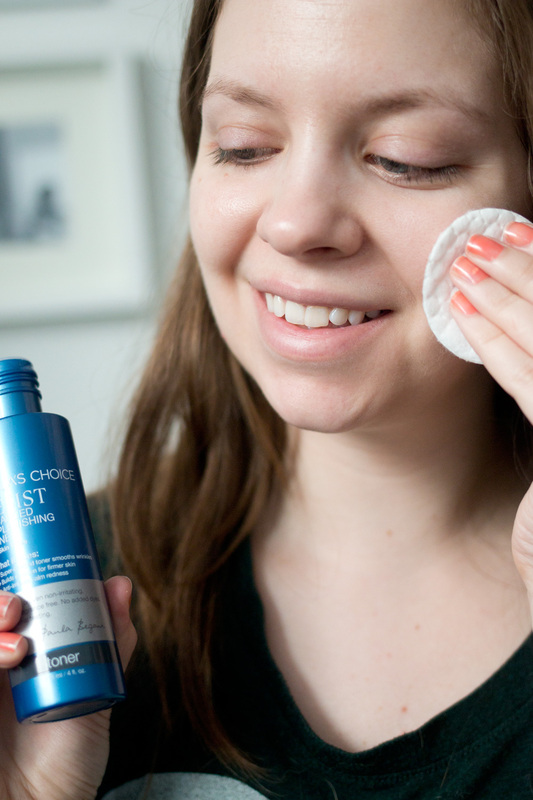 I first heard about Paula’s Choice a few years ago after stumbling across Beautypedia. I was deep in the obsession of cleaning up my beauty routine and was chucking lipsticks with any nefarious sounding ingredient left and right. I’ve since lightened my stance on what makes the cut or not, but Paula’s Choice Skincare (and makeup; their foundation is great too!) has always had good ingredients and really worked. Many of you know my skin struggles. Not long after starting my blog, my skin reverted to a second puberty and I had terrible cystic acne along my jaw and upper neck area. I felt bad about myself. I didn’t enjoy looking in the mirror and makeup became a crutch and was no longer fun. It even affected the way I dressed; I started to wear high necklines and scarves to hide the deep rooted acne. It hurt my self-esteem and I wasn’t a very nice person to those around me because I was feeling low. Because I really don’t 100% know what helped my skin most, I’m not wary of trying out new products. I already knew that Paula’s Choice made some great products, as I’d been using the 2% BHA liquid recently, but when I was offered the opportunity to work with Paula’s Choice through Pretty in my Pocket, I was ecstatic to try out an entire line of products chosen just for me. I was able to set up an email consultation with one of the knowledgeable experts at Paula’s Choice, and I told her all about my skin. (P.S. This is not a blogger perk, you can contact them by phone at 1-800-831-4088 for a free consultation!) At the time, it was just before spring really hit so my skin was in a confusing transition as it was still fairly chilly but the sun was trying to make an appearance. I find in between seasons is the worst time for my skin – it often goes from dry to normal back to dry quite frequently making it challenging to nail down a plan. Before starting Paula’s Choice my skin looked okay, but it didn’t feel good. It felt tight, dry, and looked dull. After using my Paula’s Choice, I’ve noticed a complete turn around in the way it feels. The cleanser does not overdry my skin, and using the toner (which is almost a lotion-like consistency) right after feels like a boost of hydration. While the 2% BHA lotion is a bit strong for me, using it every other day has meant less dry patches and a smoother application of foundation. I also love adding the RESIT Moisture Renewal Oil Booster to my daytime moisturizer on days when I’m feeling a little parched, or if I’m wearing a liquid foundation, a drop or two helps my foundation feel that much more hydrating. Luckily as a Power Primper with Pretty in my Pocket, I’m able to provide you with a 20% discount on any purchase from Paula’s Choice through May 31st, 2016. Use code PRIMPSPRING at checkout. I highly recommend all of the items I tried, but if there’s only one or two you’d be able to choose I’d definitely say the RESIST Moisture Renewal Oil Booster and the 2% BHA Lotion would be my top picks. You’ll see results from using those in days and they offer a 100% money back guarantee within 60 days if you don’t love the products. If my skin type isn’t the same as yours, you can also visit Pretty in My Pocket and sign up to check out even more reviews of Paula’s Choice products. Have you tried out Paula’s Choice products before? What was your experience like? I LOVE LOVE LOVE Paula’s Choice! The line that I was put on has totally changed my skin (and my life) and putting on makeup is such a joy because my skin already looks amazing! I’m so glad that you like your PC products, too! 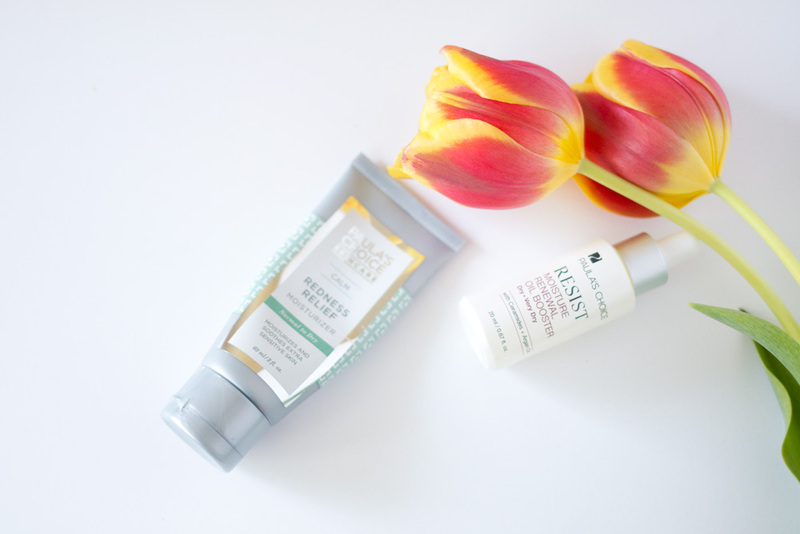 I always find that changing seasons messes with my skin – and so many people overlook spring skincare in favor of summer sun protection or winter hydration. Thanks for the reminder! Yep, exactly! Glad you could relate, Megan! Your skin looks so lovely! I’m sure these products are amazing, maybe I’ll give them a try. I am a twenty-something that got acne later in life (YAY?!) so I know the struggle all too well. This post was definitely inspiring to me seeing how great your skin looks now!! I’ve never heard of Paula’s Choice, but definitely interested in checking them out now. I will have to check this brand out. I have been interesting in finding more green products too! Awesome, hope you love Paula’s Choice, Lindsey! So glad to hear that, Kayleigh! I struggle with cystic acne too and it’s such a bummer! It’s not terrible, but one giant bump can definitely put a damper on your day! I will have to look into Paula’s Choice! Love finding new products! Thanks for all the great info. The packaging had me interested from the start. These all sound amazing, and your skin looks great! I’ll have to give this a shot! Thanks for the good suggestion!! I first tried Paula’s Choice thru Ipsy and really loved their products. I will have to check out some of the ones you mentioned now. I really have to get into a good skincare routine! I pretty much just do the standard stuff like washing your face before bed and in the morning, but I would love to start looking into other ways to keep my skin healthy. Aren’t these products so great?! I love them!! They’ve been helping my skin so much lately. They are fabulous! I’m so glad I tried a few new ones and so happy they’re working for you too!